What about hiking up to the top of the 5th tallest waterfall in the world? Hell, yes! We love waterfalls, we love challenges, we love hiking. 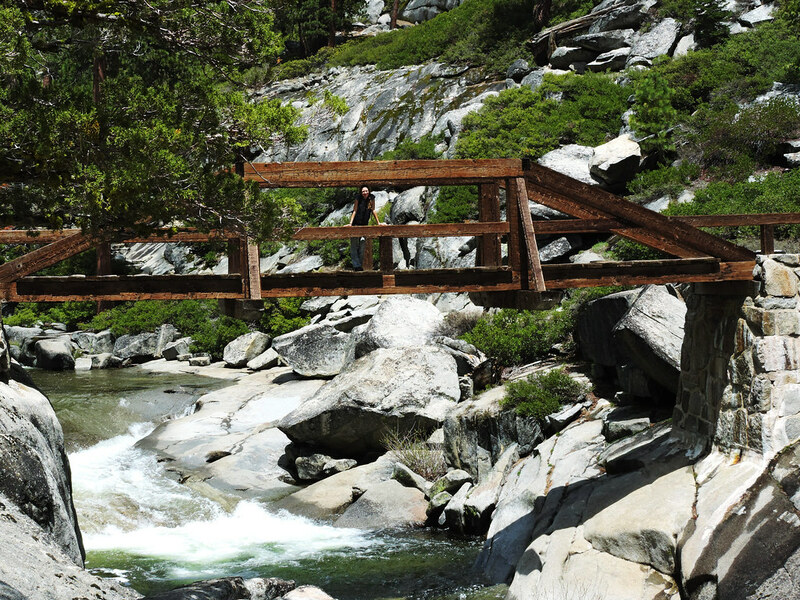 We didn’t need to think twice about it, and no wonder it became one of our favorite hikes in California’s majestic Sierra Nevada. 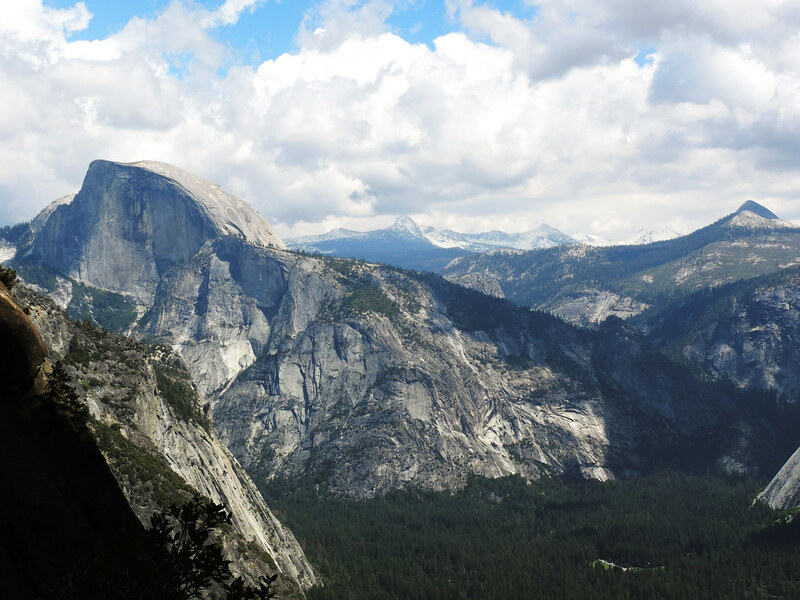 Upper Yosemite Fall Trail is a challenging hike with amazing close views of Upper Yosemite Fall and its Middle Cascades, the iconic Half Dome and the panorama of Yosemite Valley. We almost felt dizzy looking up to the incredibly high, sheer vertical granite walls along the way. The trail starts from Yosemite Valley which itself is a magical place. Also, let me tell you that if you want the best view of both Lower and Upper Yosemite Falls you don’t have to hike anywhere, because they can be best seen from the valley. 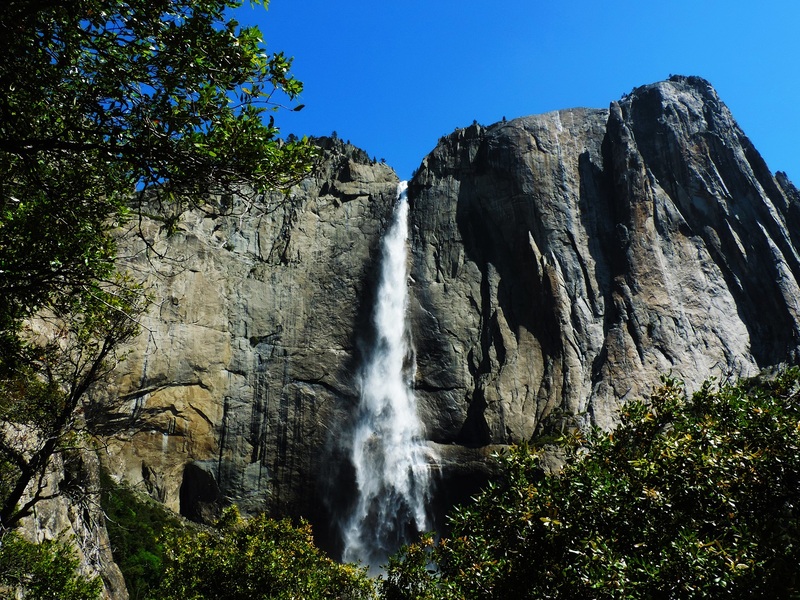 Lower Yosemite Fall viewpoint and the walking routes around it have it all! 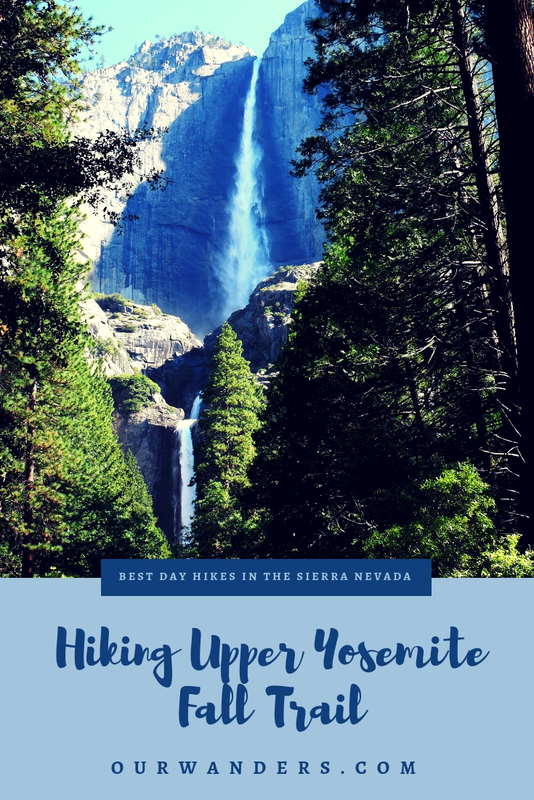 The Upper Yosemite Fall Trail is about amazing views and sheer granite walls and the best close views of Middle Cascades and Upper Yosemite Fall. The trailhead is at Campground 4 which is a short walk from Lower Yosemite Fall. The trail starts in the forest, but we had the first impressive views very soon. The best and closest view of Upper Yosemite Fall is somewhere halfway on this hike where we could even feel the spray coming from the fall. After that point the waterfall itself disappeared from our view, we could see it again from above at the top. 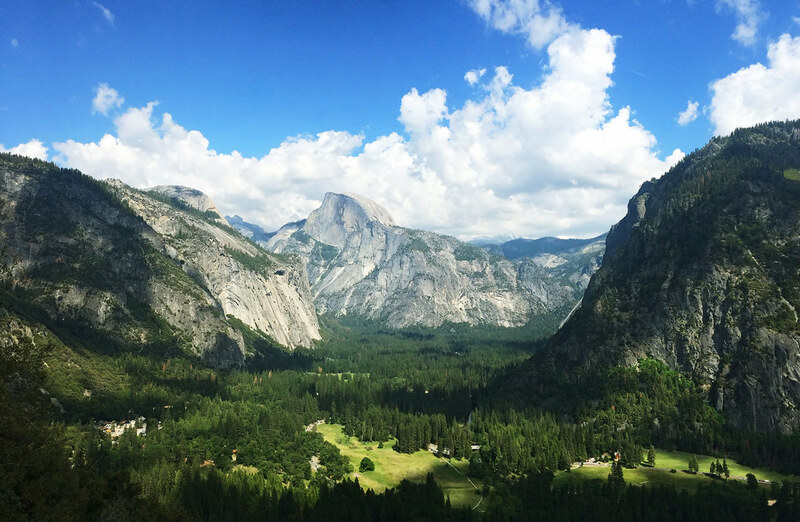 The great panoramas of Yosemite Valley remained all the way though. From the overlook at the top of the falls we headed toward Yosemite Point until we reached Yosemite Creek – this was a nice and very short addition to our hike. The creek is just another lovely reason for a rest. You could venture a bit further to Yosemite Point, we just didn’t want – we took a walk around Mirror Lake in the afternoon instead. Though it might be steep, but this trail is ONLY a 7.6 miles round-trip – we thought when we planned it as a half day hike. Well, it turned out to be a day hike (or almost). It is steep, very steep all the way. Also, we wanted to allow ourselves plenty of time to enjoy the views – because the views are stunning! Overall we spent a bit more than 6 hours to do this hike including the rest stops. 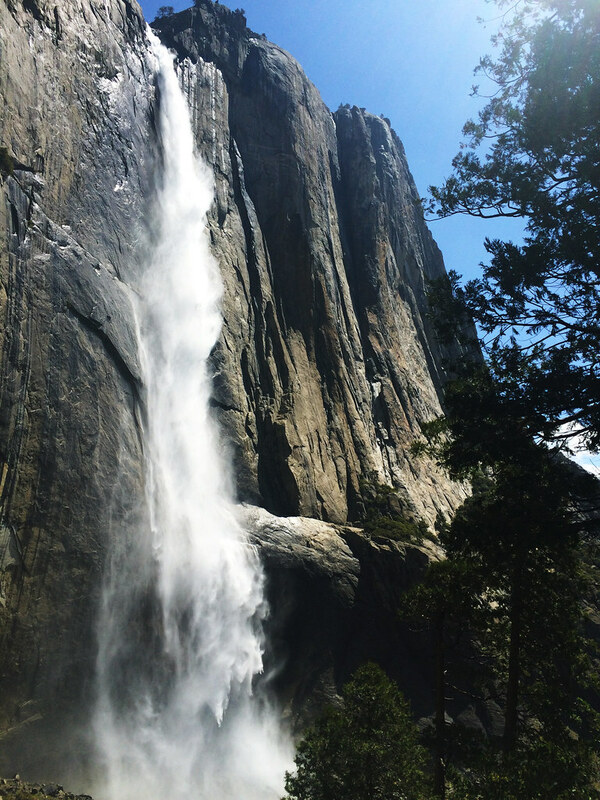 Hiking season in Yosemite Valley is from late spring to early autumn, but May and June is the best time to see the waterfalls. It’s always wise to check current conditions on Yosemite’s NPS homepage before you go. Have you ever been to Yosemite? What is your favorite hike there? Hiking is such a lovely way to explore nature. It’s also important is it to be flexible while traveling – it’s wonderful you gave yourself enough time to enjoy the Yosemite Fall Trail. Found you on StumbleUpon. Loved your post. I hike in the eastern US, but would love to visit Yosemite. Thanks for the post.